I'm not talking about clone of other rooms like those used for the defeat animation in the AS maps. 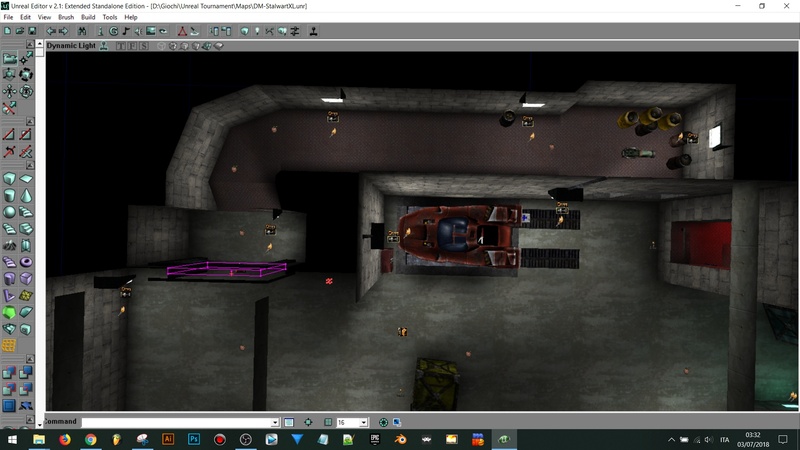 DOM-Condemned contains two locked entrances in the middle building that, in reality, bring to one room only, and a room beyond an apartment(with a playerstart inside). It also has several scenic doors like the one of the ethel's longue and the one of Arturo's. AS-Overlord contains an inaccessible control room with probably steam machines and that room contains a scenic door. DM-Stalwart/XL contains a inaccessible garage and two scenic shutters. Can you remember of any other inaccessible rooms and scenic doors? I may be mis-remembering, but DM-Stalwart/XL's inaccessible garage should be accessible. There's a trigger for the garage door that makes it open. My computer's still down so I can't show you how, but maybe someone else here knows of what I speak. DM-Dust, from the console version of the game, has fake doors on both sides. EvilGrins wrote: I may be mis-remembering, but DM-Stalwart/XL's inaccessible garage should be accessible. Just open it in UnrealEd and see that there is no mover nor a Trigger. EDIT: Also, I forgot to mention the shutter in that inaccessible room. And in AS-Overlord there's a stakeout bunker that's not intended to let players in, it contains a mortar .o. . OMG!! You can reach that redeemer??!!! Yup, I think you have to stand at the door for it to open? Or there is a trigger you shoot at in the hidden hallway that is in the corner near it? I think someone made a video showing all of this trick though. Can't find it atm. I was wondering how is it possible there are still people not knowing it, I don't think they can be called tricks lol. There's a secret passage in DM-StalwartXL tho. papercoffee wrote: OMG!! You can reach that redeemer??!! !